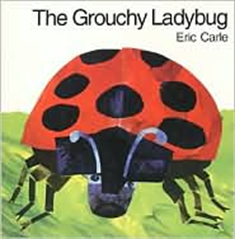 Our second full week of our Eric Carle study was all about The Grouchy Ladybug! They love this story -they really like just how grouchy that ladybug gets! We start off reading The Very Grouchy Ladybug using the puppet and the clock. This year I chose two student assistants to use the puppet and keep up with the time on the clock. The next day we read ladybug and beetle facts. I bought this pack of Insect cards from the Target dollar spot and they each got a chance to share their two favorite cards with the class. It was amazing what many of them already knew. We used this chart to list facts we learned about ladybugs. I had to fill in every available space! 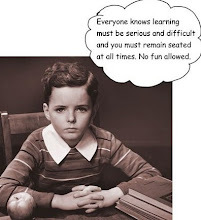 Deanna Jump has provided through her tPt sight. 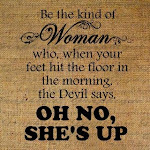 Click here to see what all she has to offer! I wish I had taken a photo of the graphic organizer we used for our fact writing but I sure didn't! in our Eric Carle books. they have used the organizer. I think if we utilize this process thoroughly in the last five weeks of school (we do a LOT of writing for this unit and our fairytale unit in May) it will, hopefully, embed the writing process in their thinking to use in the upper grades. I took this photo before she wrote her fourth fact but since this was her second time writing these facts she felt confident in her writing and it flowed fairly easily. They each painted their own paper red one afternoon. The Very Grouchy Ladybug page in their book. Another day, we made our Aphids math page. Simple but they enjoy using the hole punch and the ink pad! I think I will add a script to this page about aphids-it just looks a little blank! Of course, we charted the Ladybug Life Cycle and recorded this in our Science Journals. We learned The Five Little Ladybugs poem and will include it in our Poetry Journal next week. I like to give the children at least two weeks practice with a poem to really focus on learning it and then recognizing the sight words, punctuation and rhyming words. This is a Hungry Caterpillar story sequencing activity that I found online a few years ago. literacy and math activities for The Very Hungry Caterpillar. Click here to see what they have! This is one activity we use to practice nonsense words in small groups. It is very simple and not very original but they enjoy it! I call out one letter at a time and the children say the sound it makes as they write it on their white board. The first child that is able to read it as a word gets a sticker. Not exactly rocket science but it is great practice for speed and fluency for DIBELS.